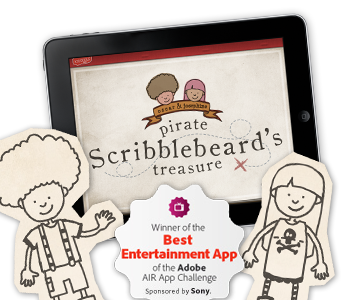 Kidoodle Apps | Touchscreen creativity for kids! Oscar & Josephine’s™ very first iPad drawing, doodling, and imagining book for kids! The pages come to life as your child doodles their way on an adventure filled with pirates, hidden treasure, and their very own pirate ship!